All of us have been in those situations when our mobile device’s battery dies out at the last crucial moment when needed most. It can be a painful experience indeed. If you are among those that dread this experience in its entirety, then the Android app Battery Saver 2X Save Battery Life! will put an end to your woes. 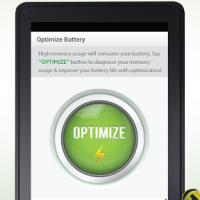 Unlike other battery saver apps, it is true to what it promises. 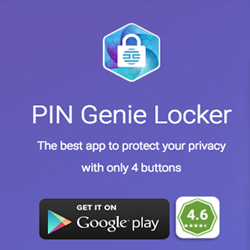 This app is available for free and does the task of saving your precious battery life by setting alarms, uninstalling or optimizing apps, killing tasks and boosting the performance of your device altogether. Besides saving your battery, it also performs other tasks that you will be eternally grateful for. Battery Saver 2X Save Battery Life! 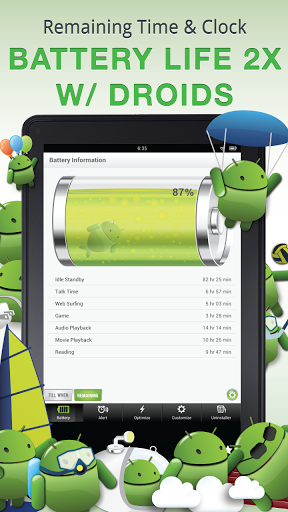 provides updated information about your battery, indicates your battery life. 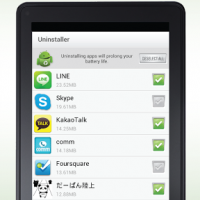 Its kills or optimizes tasks as is necessary and uninstalls unnecessary apps that can be a drain on your battery life. Also, it keeps you informed by alerting you about when your phone needs to be charged. So, it is an all round battery saver built into a single app for you. 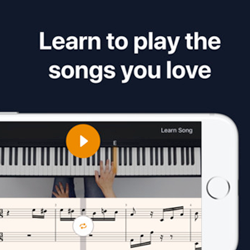 Released by IGNIS AMERICA INC. FAST AND EASY APPS on 11th June, 2013, it has been tried and tested by over thousands of users and has passed all tests. What makes this app unique over other battery saver apps is its simple and easy-to-use interface. The app is very navigable and is quite something of a pleasure to use. The percentage of the device’s battery is indicated with a droid icon in terms of percent. 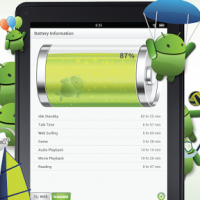 This icon cannot be missed by one and ensures that you are regularly aware of how much of your battery remains. The remaining limit or time is indicated in terms of movie playback, web surfing, reading, talktime, gaming, standby and audio playback. This makes it very versatile and helps you decide where to stop your tasks. There are alarms to notify you about necessary developments. Once your battery life drops to the crucial 20% or lower, an alarm notifies you about the same. You are also alerted while charging your device when the charger is switched on or off or when the charge reaches 100% or 70% or 50% or 30%. If you wish to charge to a certain percentage, then this app calculates the time required for charging. Also, the alarm sound can be customized to keep it from annoying you. Saving battery is very easy. 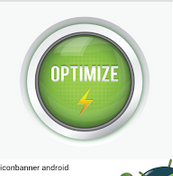 To kill a task, you simply have to click the ‘optimize’ button. Memory level is also indicated from time to time with a droid icon. You can optimize the settings easily with single buttons to turn functions on or off. Also, the brightness of the screen can be adjusted as per your requirement. 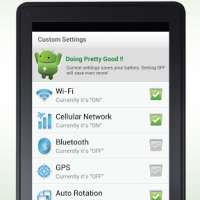 You can customize settings for Bluetooth, auto-sync data, GPS, Wi-Fi and Auto-rotation too. Battery Saver 2X Save Battery Life! comes with an inbuilt application manages that uninstall and optimizes your apps to keep your battery from being drained out. With all of these put together in one app, you can be rest assured that the battery of your android device is being used to its fullest and will not betray you at some crucial moment.